Invisalign has quickly become the favorite choice for teens and adults whose teeth need to be straightened. Invisalign works on the same basic principle as traditional metal braces. It will straighten your teeth a little bit at a time. This treatment uses a series of transparent, straightening trays rather than unsightly wires and brackets. This straightening system makes use of a series of clear, plastic straightening trays that will straighten your teeth a little bit more with each tray. The trays simply slip onto your teeth and can easily be taken off if needed. Invisalign makes use of computer imaging technology to create 3-D digital images of your mouth. The images are used to custom-make a plan just for you. They are more comfortable – Invisalign aligning trays are made from smooth plastic. They will feel very comfortable in your mouth. You will not need to suffer through the poking and snagging of wire and brackets for three years in order to have straight teeth. They complete the job more quickly – Invisalign will have your teeth looking beautiful in 9-15 months. Traditional braces do a great job, but they take two to three years to produce the same result. They look MUCH better – Invisalign trays are transparent and that means you can hardly even see them. Most people will not even know that you have them on. If you have been avoiding braces because you don’t want the jokes and teasing that come with braces, then you will love Invisalign. They won’t limit your menu – Invisalign trays slip on and off very easily. This means that you can take them off whenever you are ready to eat. You will not have to worry about a list of forbidden foods and drinks like you do with metal braces. They make oral hygiene much easier – When you are ready to brush, floss, and rinse (you do that two times a day, right! ), you can simply take off the aligner trays. This makes oral hygiene so easy. With braces, you have to work around the metal and brackets that are attached to your teeth, often for up to three years. 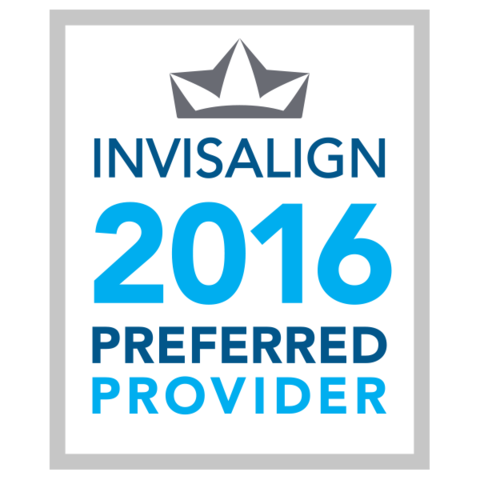 Dr. Paul Athanasius is an Invisalign Preferred Provider. This means he has a significant level of experience treating patients with the Invisalign system. Call us at Genuine Family Dentistry and let us show you how Invisalign can make a huge difference for you. Are you ready to get that smile that you’ve always dreamed about?